A Lahore High Court division bench on Monday dismissed the bail application of Zubair alias Nek Muhammad, who has been accused of attacking the Sri Lankan cricket team.He had been granted bail earlier by an anti-terrorism court. The court dismissed his bail on the request of the government which had challenged his bail before the Lahore High Court. The bench, comprising Justice Anwarul Haq and Justice Abdul Sattar Asghar, remarked that the bail granted earlier by the trial court was not ‘justified’. The bench said the trial court had granted bail under the law of consistency which was not applicable in this case. 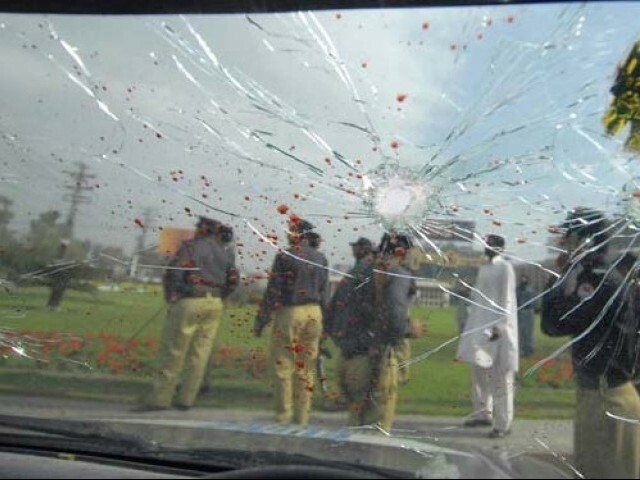 At a previous hearing, a division bench comprising Justice Shahid Hameed Dar and Justice Anwarul Haq had declined to hear the government’s appeal and referred the case to the chief justice, requesting that it be assigned to another bench.A deputy prosecutor general said Nek Muhammad had a key role in the attack on the Sri Lankan cricket team. He said Nek Muhammad was arrested based on CCTV footage. The law officer said the trial court had released Nek Muhammad on bail even though the government had produced evidences of his involvement in the attack. He asked the court to cancel the bail granted to the alleged terrorist who is in detention under the Maintenance of Public Order (MPO) since he was granted bail by the anti-terrorism court (ATC). Read the rest of this entry ? Sri Lanka Cricket has announced the following awards winners of the SLC 4-day Domestic Triangular Tournament 2013. Man of the Final – Kumar Sangakkara. 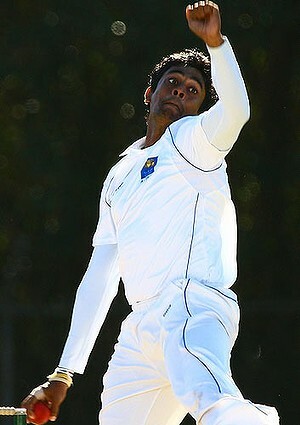 Sachitra Senanayake in action Read the rest of this entry ? This is a special occasion as we celebrate Women’s Cricket in the West Indies and across the world. The game has developed rapidly in the last five years and it will continue to grow, will earn respect and admiration, and win over millions of fans. At the WICB we are particularly pleased to see the development of our players and our team in women’s cricket. Since 2009 we have moved up the rankings and are now in the top tier of women’s cricket in both the 50-over format and the T20 format. 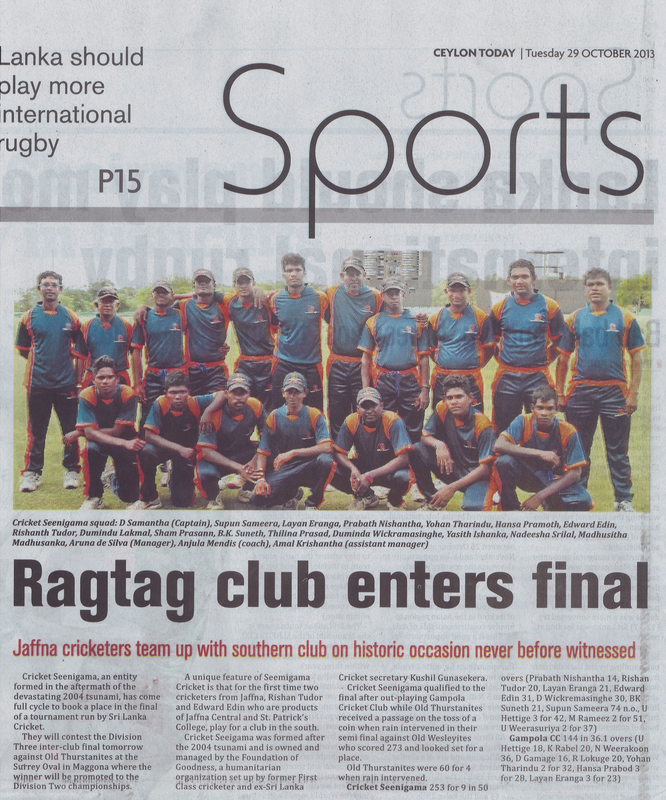 We reached the semi-finals of the 2010 and 2012 ICC World T20 and placed second in the 2013 World Cup. We have in our team some of the leading players in the world at the moment and also a crop of young players who we believe will take the world by storm in the not too distant future. Read the rest of this entry ? There needn’t be any beating around the bush. Sri Lanka’s cricket chief selector Sanath Jayasuriya has been involved with the game long enough to know the prevailing ground situation and what ammunition should be used to fight the battle and win the war. The Sunday Musings took this opportunity to pick his cricketing brains and get that great cricketer who changed the face of the game at one juncture to talk about what he and his band of selectors are up to and how they see the game of cricket progressing in the country. The narration was segmented into three parts. The present situation, the short term plan and the long term plan. First to go through the magnifying glass was the junior segment – school cricket and where it has gone wrong. 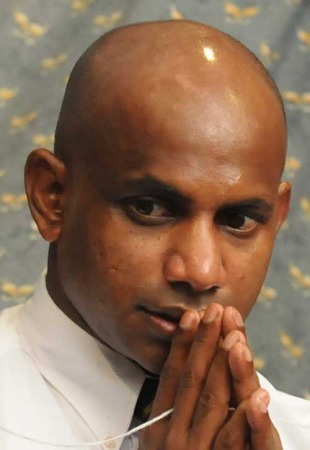 Initially Jayasuriya did not seem to agree with the statement that things have gone wrong with the schools segment. He said, “The schools segment is progressing and there are a lot of young cricketers with talent coming out of the mill.” However, the chief selector agreed that the culture of cricket had changed with a majority of parents putting a lot of emphasis on the education of their children. Read the rest of this entry ? 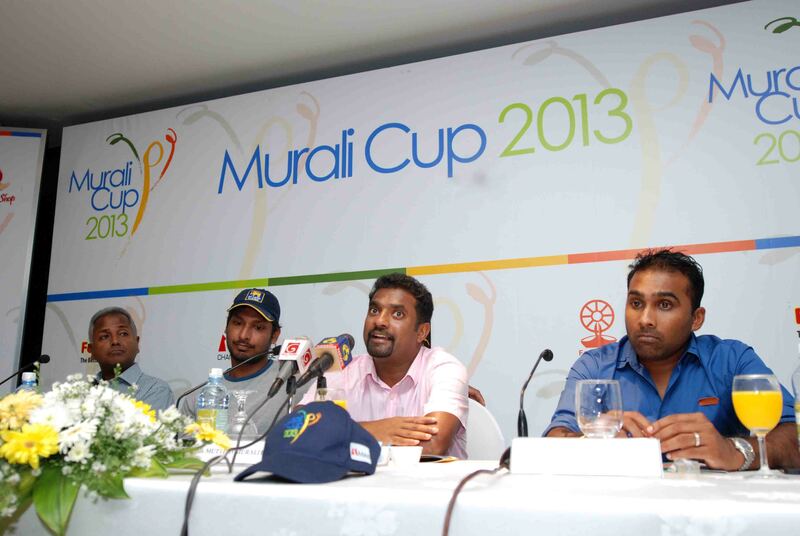 MEDIA RELEASE, 24 October 2013 Sri Lanka cricket legends Muttiah Muralidharan, Kumar Sangakkara and Mahela Jayawardena announced the return of the Murali Harmony Cup to Northern Sri Lanka from 1-5 November at a media conference on Thursday night. The Murali Harmony Cup is a 20-team reconciliation cricket tournament staged to promote community-building and friendship in post-war Sri Lanka. The schoolboy tournament will follow the same format as the inaugural event held in 2012 with twelve U19 boy’s teams and eight U23 ladies’s club teams competing against each other in the northern towns of Jaffna, Oddusuddan, Mankulam, Kilinochchi and Vavuniya. Read the rest of this entry ? NOTHING in football hurts as much as the truth, says Tony Cascarino in his memoir Full Time: “It is like being caught off side.” The truth hurts in cricket, too, but it is perhaps a bit more like being given out lbw — a matter of interpretation, an invitation of disagreement. 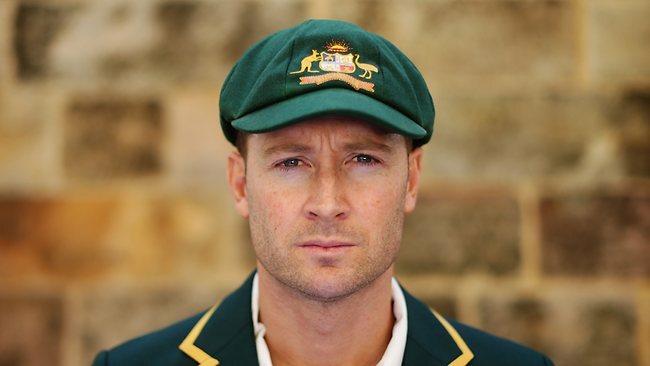 It has been an unhappy few weeks for Michael Clarke, adjudged leg-before by the autobiographies of two players who a year ago were his staunchest liegemen, Ricky Ponting and Mike Hussey. As cherry-picked extracts have emphasised, Ponting’s At the Close of Play reveals doubts he entertained about Clarke’s attitude to team responsibilities when he was a player, while Hussey’s Underneath the Southern Cross presents a bleak view of a selfish Australian team culture under Clarke’s captaincy. And while Ponting subsequently comes down on the side of the view of Clarke that “captaincy was the making of him”, Hussey airs misgivings from the very beginning, when Clarke acted as locum for Ponting in the West Indies in July 2008. Hussey recounts how old friends Clarke and Andrew Symonds were estranged during the ODI series in question by the former’s decision to fine the latter for missing a team bus: “From that moment, they were never the same. If Pup was up one end of the dressing room, Simmo was up the other.” These opposite ends reflected their careers’ “opposite directions”, Hussey recounts: “While Simmo was drifting away from international cricket, Pup was being groomed as the next Australian captain.” The former evidently had a good deal to do with the latter. Read the rest of this entry ? You are currently browsing the Critiquing Cricket blog archives for October, 2013.